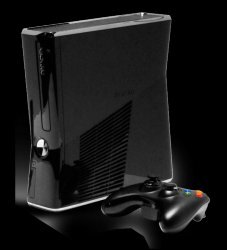 Have you got a problem XBOX 360, PS3S, PS3, PS3, PSP, Wii, DSi, DSL or DS? - then we have a solution! We offer a full LOCAL VIDEO GAMES CONSOLE REPAIR SERVICE covering Leicestershire, Nottinghamshire & Derbyshire. We also repair Laptops, PCs, Sat Navs, DVD PLAYERS, and most electronics devices. If your console will not read game or DVD disks, got red flashing lights on the start button, error displays or any console/controller handset problems then give me a call. We can advise on the problem and tell you if it can be repaired cost effectively. - XBOX 1/2/3 red flashing lights ie RROD, E74 error, no video output, etc? - Disk Drive 'flashing' for replacement or reading backup games.